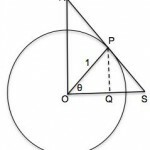 In the diagram the line OS is perpendicular to the lines OR and PQ. 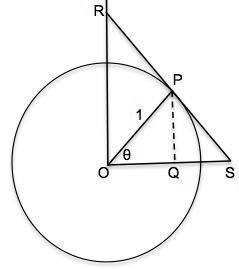 The line RS is a tangent at P to the circle centre O and radius 1 unit. 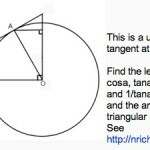 Find the lengths OQ, PQ, PS, OS, OR and RP. This rectangle measures three units by one unit. 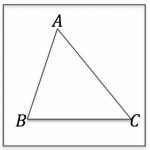 The diagram shows three angles a, b and c.
How many ways can you prove that a + b = c? What other interesting properties can you find? 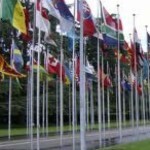 Two flagpoles are 30 metres apart. One has height 10 m and the other has height 15 m. Two tight ropes connect the top of each pole to the foot of the other. How high do the two ropes intersect above the ground? 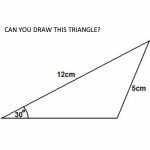 How many different methods can you find to solve this problem? Seven squares are drawn inside each other. The centre points of each side of the outer square are joined to make a smaller square inside it and so on. The centre square has the area of 1 (one) square unit. Draw the diagram. You can download square dotty paper here. Make a centre crease down the length of the paper then open it up. Next fold one corner over and onto the centre crease so that the fold line passes through the corner next to it (on the short side of the paper). 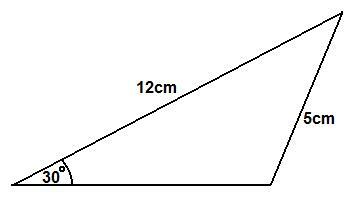 Show that is it impossible to have a tetrahedron whose six edges have lengths 10, 20, 30, 40, 50 and 60 units.